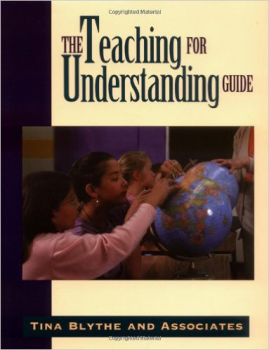 The Teaching for Understanding Guide: What does it mean to understand something? How do students develop understanding? How can teachers know how well they understand and support the development of understanding? Teaching for Understanding describes an approach to teaching that requires students to think, analyze, problem solve, and make meaning of what they have learned. Teaching for Understanding: Linking Research with Practice introduced the approach and the research that supports it. Now this companion workbook shows teachers how to use the four critical components of the Teaching for Understanding Framework. Choose topics that engage student interest and connect readily to other subjects. Set coherent unit and course goals. Create activities that develop an demonstrate students' understanding. Improve student performance by providing continual feedback.